In the centre of London, sitting proudly atop the new 6 Bevis Marks building, is the city’s highest all-weather garden. 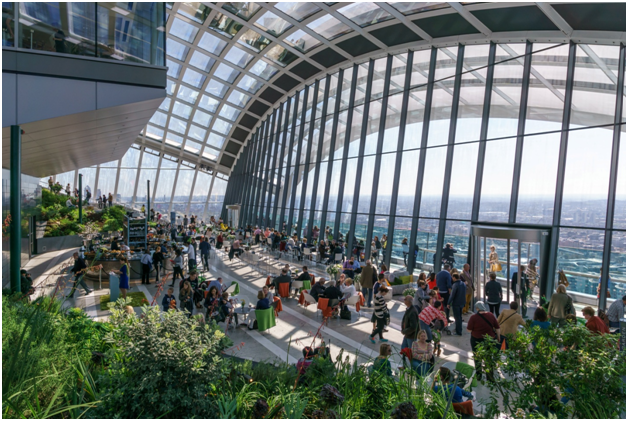 Partially covered by a stunning tensile structure, the garden is the highest of three levels of landscaped roof terraces and provides some of the best views in London. The building, which replaced an existing 1980s structure, is located in the heart of the City of London, the capital’s financial and business hub. This inspirational space is all thanks to the versatility and technological advances of the plastic and architectural fabrics industry. As well as being an eye-catching and stunning architectural feature, the canopy protects the garden and visitors from all the meteorological elements of the UK climate. The designers have covered the garden in a lightweight and completely transparent ETFE (ethylene-tetrafluoroethylene) film, the same material that covers the geodesic domes at the Eden Project in Cornwall, as well as being used extensively by specialist companies like http://fabricarchitecture.com/. The ETFE film will give visitors to the garden a completely clear view, while protecting them and the garden alike from the wind, rain and sun. Crucially, the film allows light and UV-A radiation to pass through, supplying the plants with the energy they need to flourish whilst protecting them from the extremes of heat and cold. The success of the Eden Project proves how well the ETFE films work. 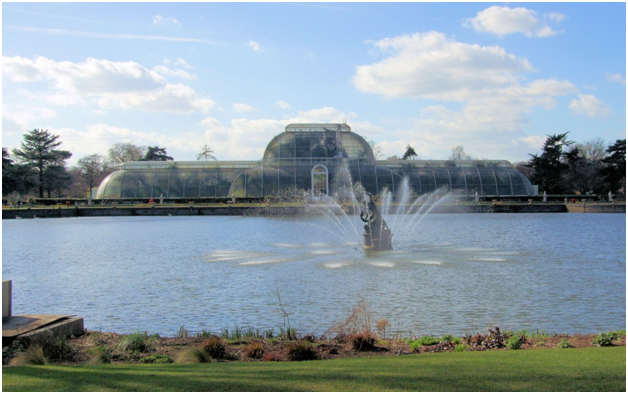 The terraces feature hard landscaping in Irish Blue limestone, and the raised beds include a filter membrane, drainage and reservoir layer. Trees, shrubs, sedums and wildflowers have been used to create a stunning planting scheme. Taking advantage of the latest advances in technology, 3D printing was used by Skanska UK to manufacture the components of the frame. The eight hollow steel columns are extremely light and strong, and seven support arms uphold the canopy. The roof structure is thought to be one of the first projects of this scale to use 3D printing for the structural elements. The innovations used in the design and construction of the Bevis Marks building and its roof garden have won the architects and engineers several awards and environmental accolades, including a commendation for Skanska UK at the Structural Steel Design Awards 2016.